Iberian Pigs are a prized breed restricted to the Iberian Peninsula. 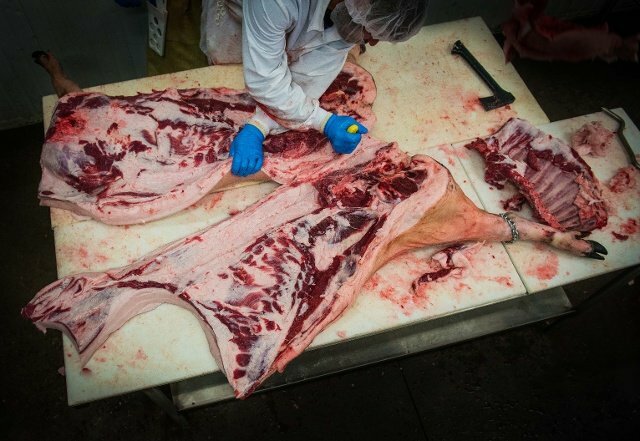 In 2014, a small number of licenses was awarded for exporting live Iberian pigs. 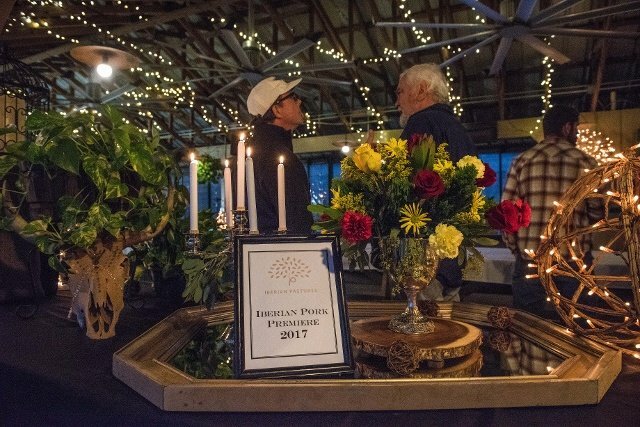 White Oak Pastures has partnered with the Oriol Family of Spain to create an American company, Iberian Pastures, to bring together the common interests of good food, animal husbandry and tradition. 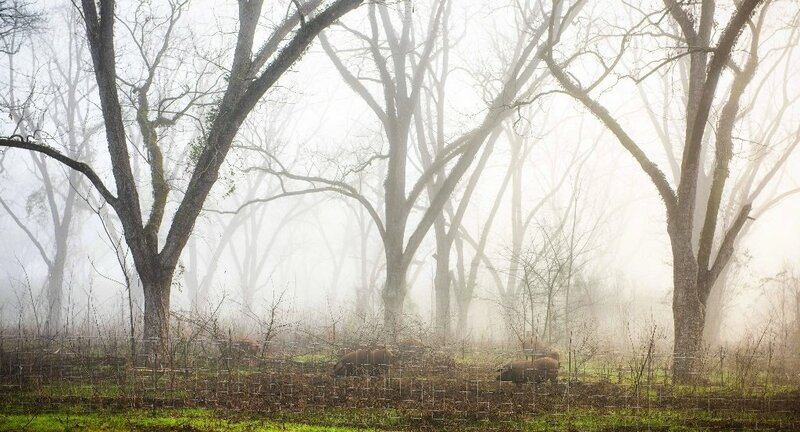 In 2014, Iberian Pastures was selected to bring a small herd of 24 gilts and 6 boars to the United States. Since then we have grown our herd to about 200 pigs. The highest quality Iberian Ham comes from 100% purebred Iberian pigs that roam free range in oak forests (dehesas) and consume a diet of pure acorns in their last several months. The ancient dehesa agro-sylvo-pastoral system is integral not only to Iberian culture, but also the pigs' access to acorns and free range is essential for proper nutritional composition and marbling of their meat. The marbling of these cuts is similar to that in legendary Kobe beef. The meat's high oleic acid content (55%) enables the long curing window; only extra virgin olive oil has a higher oleic acid content. 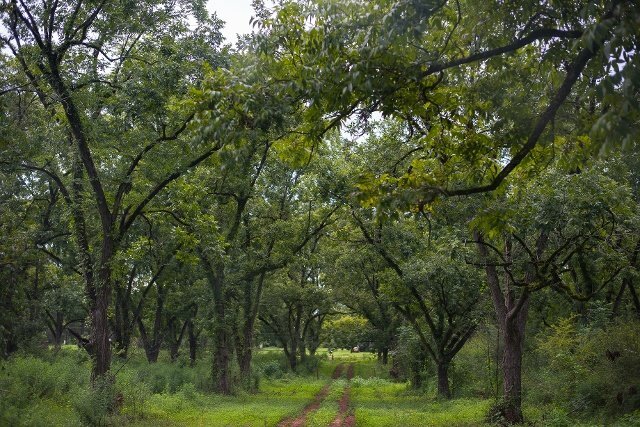 Here at White Oak Pastures, our growing Iberian herd has free range in a similar pastoral ecosystem: our pecan orchards. 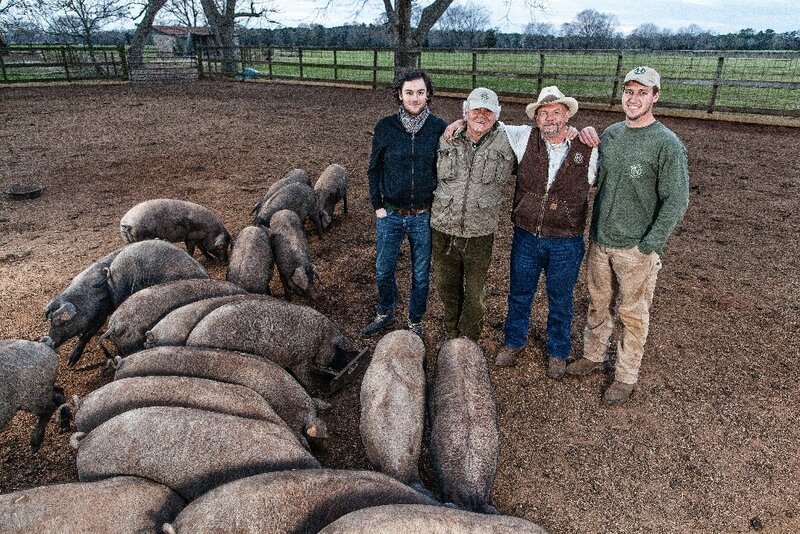 We feed our hogs a locally sourced proprietary blend of peanuts, pecans and other nuts. We are working with Gonzalo Fructuoso, a Spanish animal nutritionist, to ensure that our pigs receive the same fatty acid profile in their diet as the top ham in Spain. Our unique formulated feed even optimizes some fatty acids better than natural acorn levels. 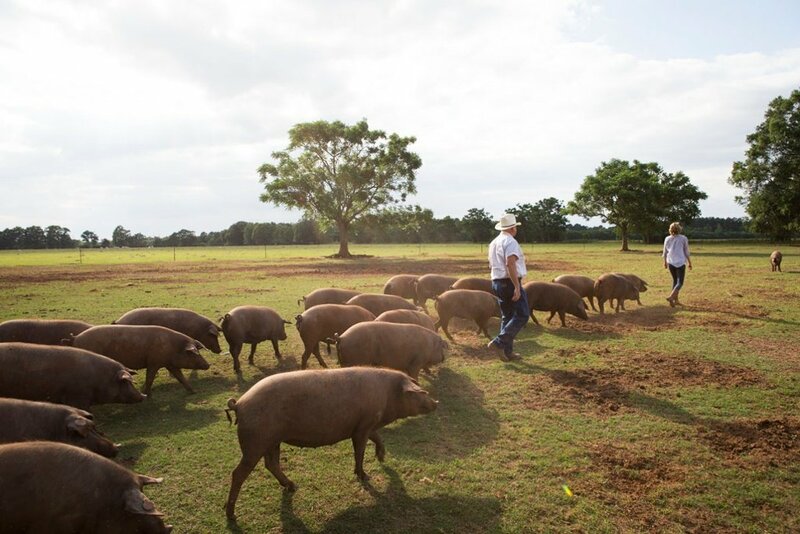 Our first generation of Iberian pigs born on American soil became ready for slaughter in early February. 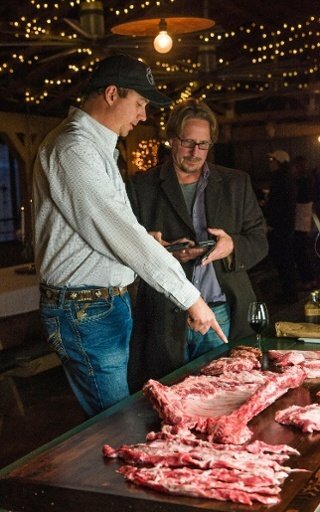 Our Spanish-trained meat scientist and butchers worked with intense attention to detail to prepare the cuts in the traditional manner. The delicacy Iberian Ham (Jamon iberico) is one of the highest quality cured hams in the world. Jamon iberico is characterized by its long aging period (24-48 months), rich red color, ample marbling, and complex, sweet, nutty flavor. Iberian Ham must be sourced from the meat of only one breed of pig: Black Iberian Pigs. This breed is unique in its genetic ability to produce oleic acid-rich, exceptionally marbled meat. 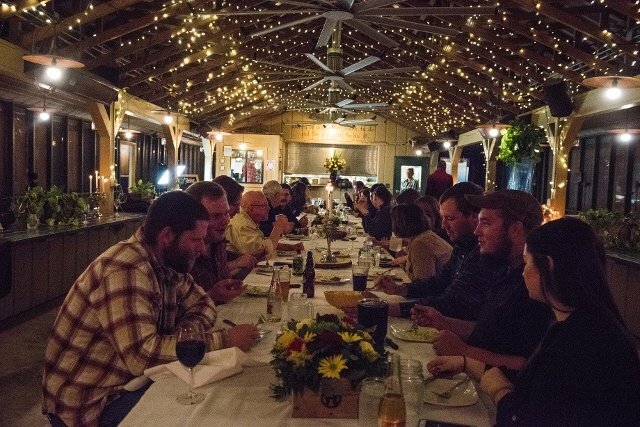 We had a celebratory dinner at our on-farm Dining Pavilion to mark the occasion. 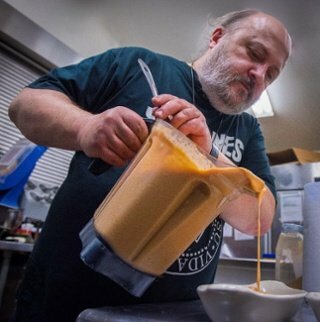 We hosted VIP guests including renowned Spanish Chef Sacha Hormaechea, New York City Chef Manuel Berganza, Washington Post writer Tim Carman, Director of the Southern Foodways Alliance John T Edge and Journalist Maryn McKenna. The chefs prepared a delicious meal and we were all amazed at the talent and taste. 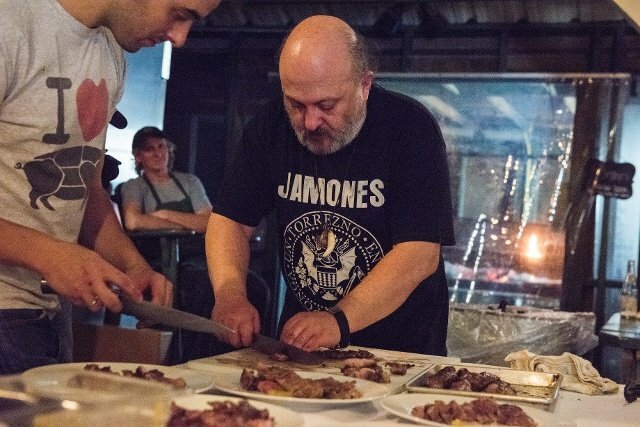 The dinner highlighted the flavors of the fresh grilling meats that are seared at high temperature but left rare in the middle to accentuate the umami flavor. Dishes included Abanico iberico with Pimenton lacquer, Solomillo iberico with roasted green pepper juice, Iberico spare ribs glazed with a garlic ginger lemon sauce served with baked apples and fennel seeds, Lagarto iberico with garlic aoli sauce, Iberico pork cheeks with beets and goat cheese, pulled Presa iberica tacos made with tequila and beer sauce, and pastramia style Presa iberica, overnight brined and dry rubbed. Sides included Alboronia, Salmorejo, Allioli, Escalibada, Green salad, and Cous cous with celery. Our Iberian hams will cure for 24 months, shoulders for 18 months, and loins for 6 months. We are extremely excited for the future of these new products. 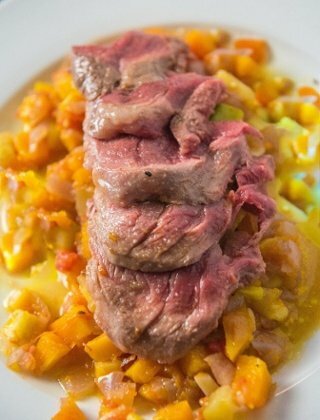 We have several fresh Iberian meat cuts for sale in our online store. 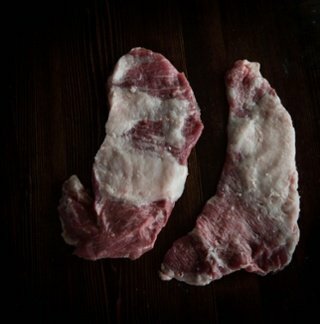 Soon, customers will also be able to reserve the special cured cuts. We are proud to be one of the first farms to bring the production of this ancient Spanish tradition to America. A cultural delicacy that also requires the highest in animal welfare, Iberian Pastures Iberian Ham is certainly at its exciting commencement.